An ongoing study of biodegradation rates of polymers has led to the development of a new ASTM International standard, ASTM D7473, Test Method for Weight Attrition of Plastic Materials in the Marine Environment by Open System Aquarium Incubations. The new standard is under the jurisdiction of Subcommittee D20.96 on Environmentally Degradable Plastics and Biobased Products, which is part of ASTM International Committee D20 on Plastics. According to Jo Ann Ratto, Research Engineer, US Army Natick Soldier Research, Development and Engineering Center (NSRDEC), and a D20.96 member, the new standard grew out of a joint study between the Woods Hole Oceanographic Institution and the NSRDEC on the biodegradation rates of polymers. 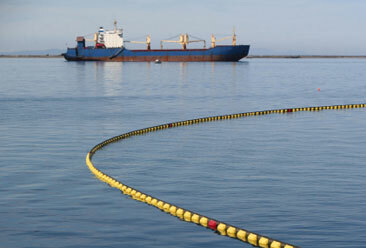 The study also received support from the US Navy Waste Reduction Afloat Protects the Sea program. Mr Ratto says that the test covered in ASTM D7473 is designed to be performed after the test described in another D20.96 standard, ASTM D6691, Test Method for Determining Aerobic Biodegradation of Plastic Materials in the Marine Environment by a Defined Microbial Consortium or Natural Sea Water Inoculum. “ASTM D6691 is a Tier I test and the new method is Tier II, closer to real-life conditions,” he says, “In ASTM D6691, the sample is cryogenically milled to increase surface area, while in D7473, the sample item is tested as is.” Ratto notes that an interlaboratory study was conducted to perform round robin testing and validate the accuracy statements of D7473. The study included participation from various US institutes: Algalita Marine Research Institute, California; University of Rhode Island, Rhode Island; Whitney Laboratory, Florida; and Woods Hole Oceanographic Institution, Massachusetts. Primary users of ASTM D7473 will be companies that make biodegradable polymers or items that will be disposed at sea, notes ASTM International. ASTM International is one of the largest international standards development and delivery systems in the world.